Venomous Amphibian is an Enemy in Divinity: Original Sin 2. Talents: This character has no talents. Immune to Poisoned and Acid. Found in the cavern in Fort Joy where the kids are playing. 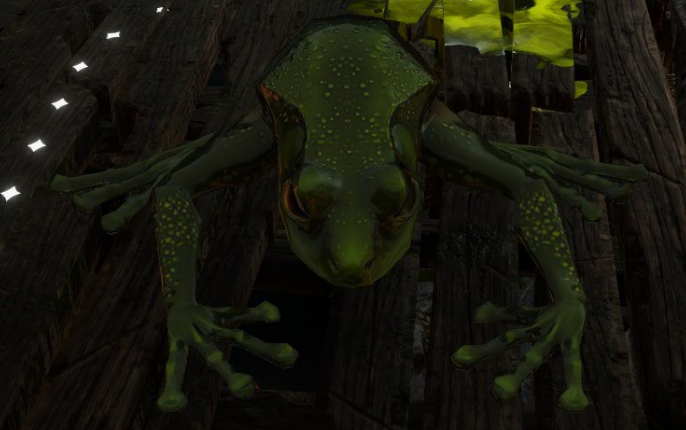 Use the Gloves of Teleporation to move the barricades that block the way to the frogs in the back of the cave.